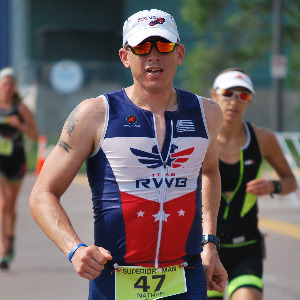 Nate Dicks, MS, CSCS, coaches athletes of all levels and abilities in triathlon and running. Whether you want to complete your first 5k/sprint triathlon, land on the podium at your next race, complete your first Ironman/ultra marathon or you are a repeat offender that wants to improve your performance, I can help you achieve those goals. I have experience working with athletes from collegiate to master level athletes, coaching athletes from Ironman finishes to world championships. Providing high level endurance coaching and advice to each of my athletes to the best of my abilities. Believing in a straight forward and simplistic approach that is based in scientific research to help athletes reach their goals. I hold a Master's degree in Exercise Physiology, USAT Level 1 Coaching Certification along with the Certified Strength and Conditioning Specialist certification from NSCA and certified to conduct Functional Movement Screening. Success. Coach Nate Dicks has been notified of your message.